Garden City commissioners will bring up the city ? ?s smoking ban at Tuesday ? ?s meeting. In question is whether to keep the ban or have a less stringent form of the law. The last time commissioners voted to amend the smoking ban it ended in a 2-2 stalemate. 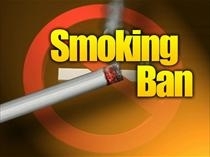 The local ordinance bans smoking in public places, including fraternal and private clubs in the city. The statewide form of the law exempts private clubs from the ban if built before 2009.